Shopping is no more treated as a need-based activity, but has become an experience, providing a unique opportunity to retailers to develop strategies for delivering this experience and boost their business. CAN A CUSTOMER ENGAGE WITH YOUR BRAND BEFORE VISITING THE STORE? Every brand innovation journey should start with how you want to make your customers feel. WEBSITE VISIBILITY. Say you’re a fashion retailer and it’s nearing Christmas. Just think of how many searches there will be for that ‘little black dress’ (LBD) online. Proposing a strong search campaign for your website (including SEO & PPC) in advance will enhance your chances of being found online. Remember that a customer needs to understand everything that you’re about before they make the effort to visit your store. GET SOCIAL. The strongest social media channels are those with a little humour, enough offers to pique the interest of shoppers and a quick response time to customer questions and (hopefully on the rarest occasions) their complaints. Think Innocent’s Twitter campaign – they’re engagement is primarily via SMM but they’re available in nearly every supermarket. Customers make the effort of buying them, sometimes just to tweet the brand! CREATE AN APP. Websites are one thing, but a mobile app for customers to download and use to browse or purchase is another level! In fact, downloading this app highlights that the customers have developed a strong connection with your brand. To reward them for this loyalty, use the app to send information and even personalised offers which have been designed around a customers most viewed or purchased item. DO YOU OFFER A POSITIVE BRAND EXPERIENCE FOR CUSTOMERS? Good CX gives people positive opinions about your brand. Amazing CX gives people a reason to shout from the rooftops and Facebook walls about your brand. VIRTUAL REALITY. Whilst all manner of different technologies have presented themselves in stores across the globe, virtual reality has implanted itself in physical retail and it’s set to stay. 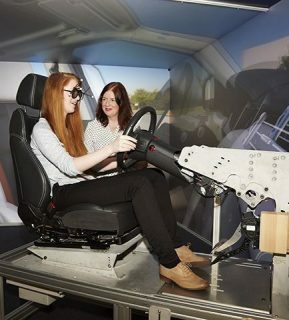 From WAH Nails using VR for nail art all the way through to Jag Landrover offering a VR headset for customers to design their own car; this realm of technology is a customer experience dream. DWELL SPACE. It’s an old one, but still a good one. Remember that your in-store experience doesn’t have to have a branded price tag attached to it, you can expand the retail offerings by other means. 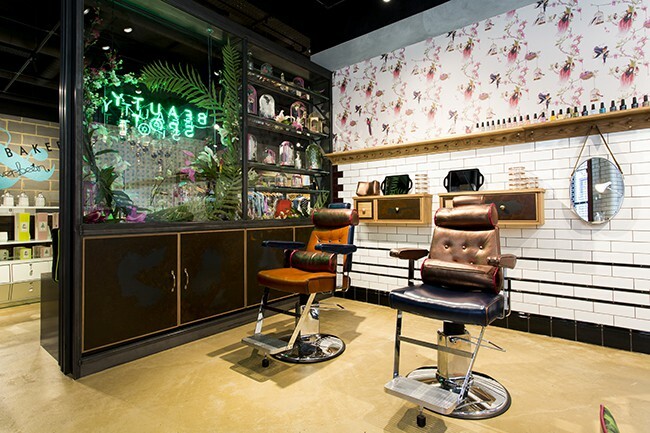 Think Ted Baker whom offer a coffee shop and a barber(!) in several stores, as part of the overall customer experience. Now that’s dwell time done well! INDIVIDUALISATION. With so many customers flitting in and out of stores, is it even possible to offer an individualised design that will suit every single individual? Well, probably not. However, it is possible to cater to an individual’s preferences when it comes to offers and information. 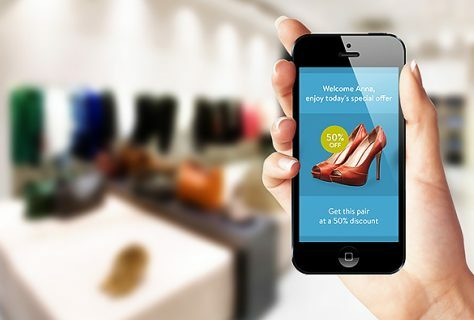 From email marketing through to beacon technology, your retail store can correspond with a specific customer once they have engaged with you; including signing up to a newsletter, downloading an app or purchasing a product. DOES YOUR CHECK OUT ANNOY OR ANGER CUSTOMERS? 39% of shoppers cite queueing and payment as the most frustrating parts of the in-store experience. “One of the most critical elements of the in-store experience is the checkout, with consumers often citing poor service at the till as the most frustrating part of a shopping trip. Yet, despite high customer expectations, optimising the checkout experience is often an afterthought for many retailers, who instead choose to focus on the more glamorous aspects of the in-store customer experience.” – Retail Week. 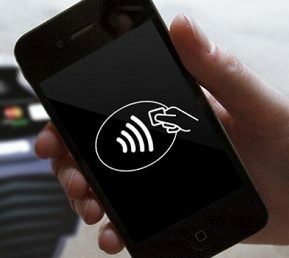 CONTACTLESS PAYMENT & MOBILE POS. Customers have become accustomed to tapping their cards against the machine (for payments below £30 at least) and will be deeply disappointed if the sales assistant replies with “oh we don’t have contactless yet…” And as for the payment area, think mobile POS rather than long, tiresome queues. Think Schuh, with their mobile POS and paper bags hidden in drawers throughout the store; meaning a customer doesn’t even have to leave their seat to choose and purchase a pair of shoes! CLICK & COLLECT. With the rise in tech-savvy millennial shoppers, it’s important to remember the high volume of online orders (particularly during crazy Black Friday style sales) that will be sent to store for collection. 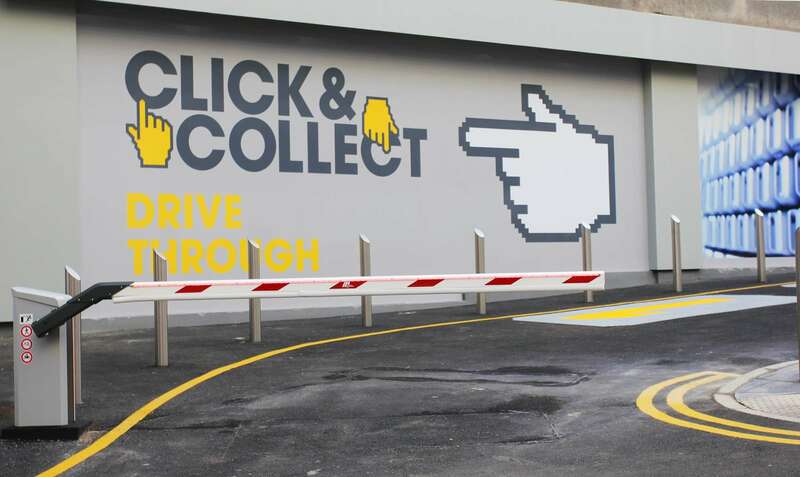 Firstly, if you don’t have the click and collect option, it’s time to get one! And secondly, once you have it, ensure that the desk is separate to the main tills to allow for the quick “in-and-out” experience that customers expect from this functionality. DIGITAL RECEIPTS. Even the smallest of stores can offer a digital receipt! This functionality is not only great for the worried customer who fear the loss of their receipt as soon as they leave the store, but is also an easy way for retailers to capture data from a customer to create that individualized experience in the future. Just remember to be ‘cool, not creepy’ with that data! According to mycustomer.com, the greatest stores nowadays are “not for selling products nor for driving convenience; other channels meet these needs much more effectively. Stores are for experiencing enticing content, for delivering slower retail that gives shoppers and brands the time they need to get to know each other better.” The importance of CX lies in focusing less on how many sales can be made in a day and more on the way in which your brand can deliver an unforgettable experience to its customers. Your biggest promoters are your customers, especially the Millennials or Generation Z who utilise social media platforms to their fullest, so ensure that your brand exposure leaves a positive lasting impression.